Ultimately, our organization’s goal is to ensure that as long as the United States of America exists, Historic Eatonville will exist as a vibrant community, representing the history and heritage of people of African ancestry. To accomplish this goal, our organization needs to address certain challenges almost simultaneously: 1. To continue the progress being made to stabilizing the organization’s finances and to further strengthen its financial infra-structure; 2.To solidify 3-5 years of funding (through government/education/ private) on behalf of the ZORA! 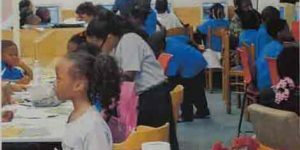 STEM Initiative, P.E.C.’s decade-long commitment to helping to address “the leaky pipeline” which exists in the areas of science, technology, engineering, and math education with a special attention being paid to boys of color and girls, as they are the students historically under-represented in these fields; 3.To present a critically acclaimed, as well as crowd-pleasing, 28th Annual ZORA! Festival, which will include a first-time 2-day national event titled “Communities Conference: Civic Conversation Concerning 21st Century American Life;” 4. 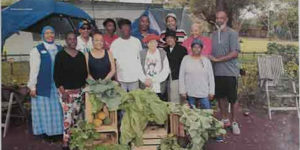 To advance plans for a 2018 launch of a Farmers’ Market Co-op based on organically grown produce by the Yards & Garden Club of Historic Eatonville; and 5. To advance the cultural tourism work being done by P.E.C. as a member of the Historical Black Towns and Settlements Alliance, Inc. (HBTSA).